Highfield Park near Hook is a fantastic wedding venue. There is a long and impressive driveway on the approach to the hotel to really put your guests in the mood for a quality and distinctive day. There is ample parking very close to the hotel and the staff are wonderfully helpful and very efficient. 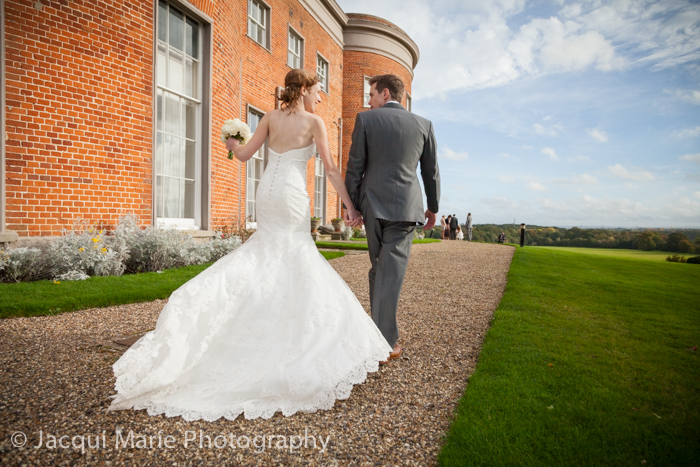 The building exterior is very impressive set in 35 acres of ground, atop a hill the venue has an amazing view of the rolling Hampshire countryside. The front of the hotel has a columned porch which is great for group shots. The West face has distinctive rounded towers and the South face has the windows to the modern styled bar, the patio with tables and chairs which are outside the room used for wedding ceremonies and meals. The inside of Highfield is no less impressive. The Bridal Prep room is spacious with plenty of light and with a convincing “country house” decor. There’s an awesome circular staircase, perfect for portraits...but also a very modern styled bar area which opens up onto the south-facing patio area. [UPDATE: 1 MAY 2017] Highfield now offer outside wedding ceremonies if weather permits. It’s because of it’s fabulous and spacious interiors as well as the expansive and beautiful exteriors and the wonderfully helpful staff that we recommend this venue as both a Top Summer Wedding Venue and a Top Winter Wedding Venue. Well worth a look.